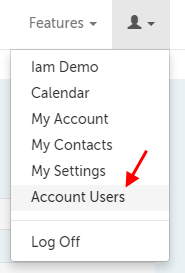 This support article illustrates how an Account Administrator can edit an existing user. 2. Use the "Edit" button on the same row as the user you wish to edit. 3. After editing the user's information and/or resetting their password, use the "Save" button in the lower left-hand corner.